Arrested On A Cruise Ship out of Long Beach? A cruise should be fun and exciting but when the even results in a criminal arrest it is anything but fun. 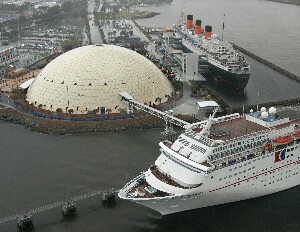 If you are arrested on a cruise ship docked out of Long Beach, more than likely any arrest will be handled by the Court in Long Beach. Although it is possible to have a federal charge and be brought to federal court in Los Angeles, the mainstay of all criminal cases go to the District Attorney in the L.B. Court. For those with a warrant and being held on those grounds, it becomes more complicated. If the warrant is in state court in California then that court has jurisdiction. The accused will be held in custody in the port of Long Beach and later transported to the local court on the case. In any event, a local criminal defense attorney can often help by being able to negotiate bail and , in many cases, even go to court at a future date if the defendant lives out of state. California law permits a peace officer to arrest anyone who is impaired by the use of any drug. Bath salts are the latest rage in the state for youths and those seeking a new and different high. Are bath salt chemicals enough to get a DUI? The short answer is yes, any drug that impairs can cause a person to be arrested if they are using it and driving a car. Little is known about these chemicals and the police are still researching the effect that these substances have on people. What goes along with celebration on the 4th of July? Drinking. We all have heard the warning: drinking and driving don’t mix. But what about those who decide to ignore the warnings and drink and drive anyway? The best advice for those in that boat is to say as little as possible. yes, the constitution gives all people the right to keep their mouth shut when arrested for a crime. But what are the limits of that in a DUI case? The most important limitation is the requirement to take a breath or blood test upon the request of a police officer following a DUI arrest. In Long Beach, as is the case anywhere in california, you must submit to a chemical test when requested by a peace officer. If you do not take a test or fail to complete a test you will lose your license for up to 3 years. So, the best advice any attorney can give to a drunk driving suspect is to say little, take a breath test and hire a lawyer upon release.